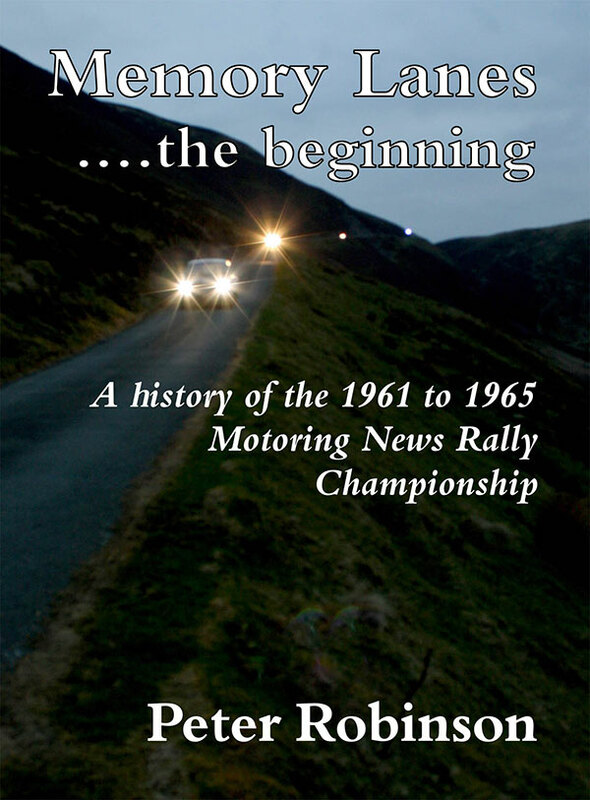 This edition covers the Motoring News Rally Championship during the years 1961 to 1965. Some 590 pages in length it contains details of every “MN” rally held during that period, the text being accompanied by over 150 black and white photographs many of which have never been seen before. All 91 rally results are listed together with many full entry lists, organiser’s rally results and route details. Around 1850 individual drivers’ names are included in the book and through this period there were over 7500 crews listed as starters. The Foreword is written by Roy Fidler, a top driver of that era and one of the earliest supporters of the Championship, while the Introduction is written by Stuart Gray, a consistant and successful navigator during this same period. Memory Lanes …the beginning follows Memory lanes ..the early years and Memory Lanes …revisited and completes the ONLY full record of the MN Championship series between 1961 and 1973. “….This latest book runs to 581 pages with hundreds of black and white photos – so it is a hefty book! The majority of the text is made up of multi-page reports on each rally run in this period, with summaries of Entry lists, Results and sometimes route cards and the like. There are also Appendices and other additions written by Stuart Gray, Don Barrow (in the piece on Ford Anglias) and others, including a resume of when rallying was discussed in Parliament. Do you remember the “Marples must go” campaign against Ernest Marples when he was a contraversial Transport Minister? Well as rallyists, we should be thankful to Mr Marples as it was he who allowed road rallying to continue when its very future was threatened in 1961. 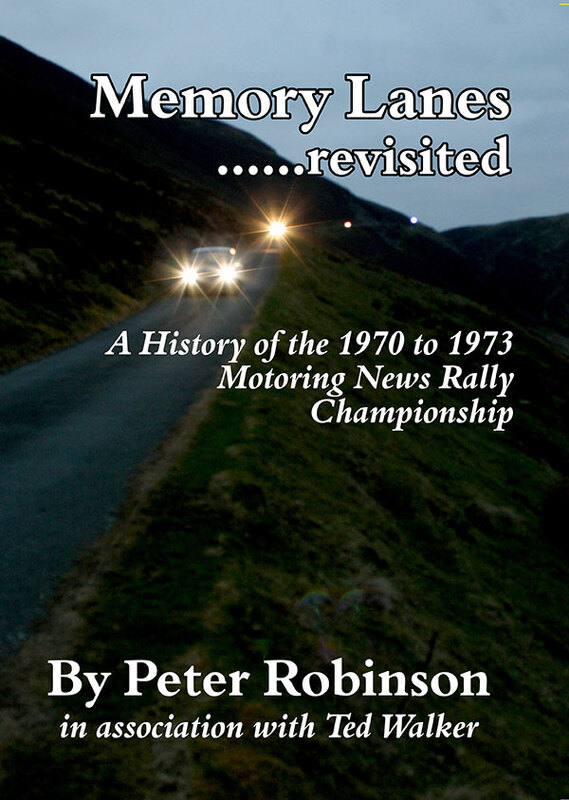 “It is interesting to observe how some of the very top works rally drivers took part, and won, in the early years of the Championship – even though these rallies were nearly 100% on public roads. Winners included Pat Moss, Peter Procter, Vic Elford (who also won one round as a navigator), Tony Fall, John Sprinzel, and Brian Culcheth. Although Anglias, Cortinas and Minis might be the commonest cars in this period, other much rarer makes also did well – such as Sprites, DKW and SAAB. In 1961 sports cars were popular but by 1965 it was mostly saloons – possibly as rougher roads were used as the years went by. Stuart Harrold: A really great read, but better still some good plotting on old 1″ maps for us sad navigators. John Brown: Congratulations on another outstanding piece of work. Rod Cooper: Books arrived here in Tasmania yesterday. Well impressed and can’t wait to read them. They are a credit to your hard work and research.n The first look through brought back many happy memories. Bob Chapman: Just received my copy of your book and am now avidly reading it. Paul Gray: Just to let you know my book arrived safe and sound. A big thank you again – some more night time reading to keep me entertained. Chris Knights: An impressive piece of work and I shall enjoy reading it event by event. Peter Gilbert: Book arrived at the control on time. Not sure when I will get to control 581! Jeff Southall: Thank you so much for recording all these golden moments of rallying for all time. They could so easily have been lost in the mists of time. Stuart Gray: First, I have to declare an interest in that I wrote the Introduction to this book; hopefully the review will not be unreasonably biased but I’m very happy to provide it for much the same reason that I got involved in the sport in the first place and it brings back memories of those days. 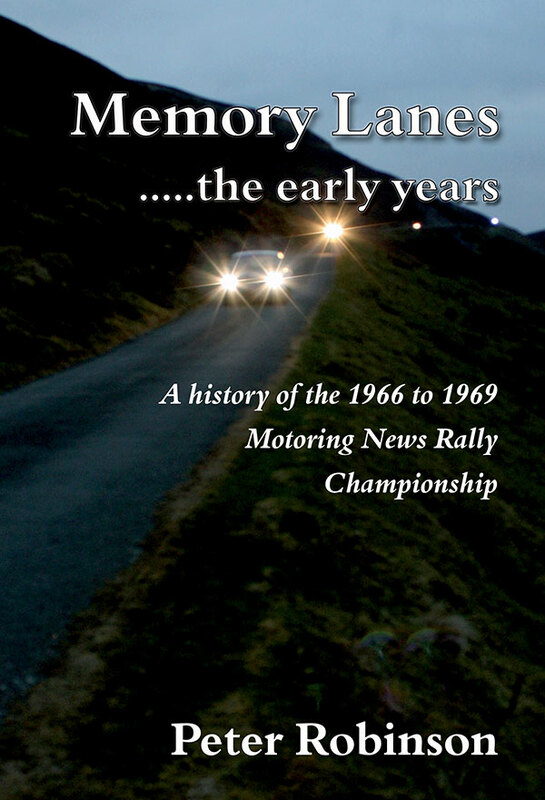 This is a meaty, 580 page book devoted to detailing the first five years (1961 to ’65) of the Motoring News Rally Championship. Motoring News was a weekly newspaper which was launched in 1955 and covered all branches and levels of motorsport. The paper introduced a dedicated Rallies Editor with the pseudonym Verglas. The first Verglas was Stuart Turner, long before his BMC or Ford days, and in 1960 he persuaded the paper to run a Road Rally Championship open to all comers using the best events selected by a small panel of competitors; there were sixteen rallies chosen for 1961 and the competitor’s best ten results would count. There were other Championships at the time including the RAC Rally Championship which had about eleven rounds, all of National or International status but generally these were not necessarily the most appealing of events. The British Trials and Rally Drivers’ Association then created its own annual Championship in 1964, which was on two levels, Gold Star and Silver Star. There were also several well-subscribed area Championships. So, what was different about the MN series. The events being chosen by regular competitors for one, and the publicity for another! Motoring News was a weekly and every week there could be something of interest to the rally enthusiast. 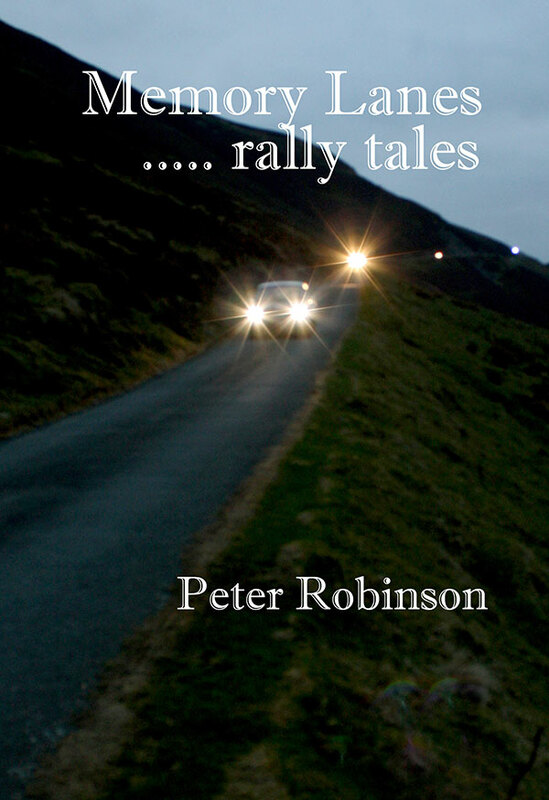 It gave good coverage, within the same week, to the Championship as well as other rallies. Navigators could then scan these reports (or the Verglas column) for info on new roads, tricky junctions, etc. Rally organisers could expect to see their upcoming events featured either in the Forthcoming Events listing or even with a mention in the Verglas column. The scene was now set for much greater exposure of a popular and, at the time, fairly cheap sport. The sixteen events selected for the first season comprised ten of National status and six Restricteds, which was in itself a major step to accept that a lesser grade event was worthy of inclusion in a national championship. Perhaps because they were more “old school”, the Nationals tended to have multiple start venues, unseeded starting order, longer but less testing routing and, to sort out winners, often sea-front located driving tests. These became necessary as at least 18 “clean sheets” on the road sections were attained in 1961’s Nationals. The difficulty in achieving winners “on the road” significantly reduced as the unpopularity of this type of format became apparent. By 1965 only four rounds were of National status and there was no doubt that some of the lesser status events could challenge for being the best event of the year. Memory Lanes the beginning covers in detail every one of the 91 events that counted towards the Championship in those first five years. The source material is, of course, mainly those Motoring News and other contemporary magazine reports but this is augmented by more route details being defined as well as copies of some route cards, entry lists, detailed results, registration numbers, contemporary correspondence (sometimes amusing, sometimes acrimonious), updates on the Championship placings, some 150 photos and a review of each year. Peter apologises in the Author’s Notes that there are not as many photos as he would have liked; even so there is very good coverage of the crews and cars involved. Most of the reports contain enough detail for the reader to follow the route on the period 1″ to the mile maps, and for those who don’t (still) have those maps, there’s a note that the Ordnance Survey can still supply them, albeit only in black and white. EBay is also a source for these. You can of course follow the routes on current maps, but that will not convey the frustration felt by the early contenders in finding the right route; the report on the ’61 Welsh Marches well illustrates this on a demanding route planned by Val Domleo and David Skeffington. In road rallying history, this period is definitely a formative one; bound by the RAC Blue Book rules which limited the average speed that could be set between time controls to 30mph, organisers were faced with increasing problems in finding winners. A time schedule based on a 30mph average was easy enough to achieve, even with a Mini or an Anglia, on all but the most demanding roads. However this average was much harder to attain on sections with time controls just half a mile apart (allowable at that time), tricky route instructions, eight figure map references, roads not on the map, handouts at each control, gates, all of which slowed things down but were not always popular. In ’62 and’63 there were more events organised by regular competitors with long competitive sections, some timing to the second, some removing the 59 second allowance, and elastic, or rather shrinking, measurements of distance. The introduction of slow neutralised sections within these longer sections helped shorten the time left to reach the next timed control and legitimately raised the required average speed. However, it was a new approach to producing results quickly that led to the simplest and most beautiful timing concept of all: the scheme first used on the 1962 Welsh and Jeans Gold Cup rallies and developed by John Brown in 1963 for his Oxford University Motor Drivers’ Club event, the Targa Rusticana. Previously, competitors had to carry their sealed watches with them to show to the marshal, which could lead to elements of “manipulation”. In the Targa system, clocks were located in the hands of marshals at each time control. Instead of showing BBC time, each clock was set back from a notional start time of 1201 for car no.1 by the time allowed for the distance from the start to that control. This meant that car no.1 would be due at each control at 1201 (i.e. 0001) on the marshal’s clock. Very simple, but where was the relationship between the marshal’s clock and the BBC time? Who cared about the detail, now there was an easy way of determining a competitor’s penalty at each control. Of course, if by chance the organiser had set the clock at a control back too much, competitors would have to wait till their time came up. Conversely……… ! The downside was that it became just too easy for an organiser to make the timing way too tight, resulting in ridiculous penalties, detours to cut part of the route, disenchanted novices, and, very likely, raised eyebrows at the RAC. Targa timing was eventually banned, but this was not until 1988. (There is much more about this topic written by John Brown himself in one of Peter Robinson’s other books Memory Lanes …the early years.) The problems faced at that time by organisers in complying (or not) with the law are well covered in two Appendices with extracts from Hansard and comments on the Chesham Report. Most of the cars used in this period were remarkably standard, from a wide variety of manufacturers, and many reports make reference to their frailty – exhausts fell (or were knocked) off, dynamos failed, bottom pulleys fractured, tyres punctured, petrol pumps packed up. That seemed almost to be accepted as the norm and many fine performances ended at the side of the road. Sports cars such as Austin Healey Sprites, Triumph TRs and Morgans were much in evidence in 1961 but within three years this had all changed. The Mini Cooper was launched in 1961 and the S followed in 1963, changing expectations of what might be achieved from a Mini. The Ford Anglia featured at the start of the period, but was often endowed with a larger engine and front disc brakes. (An Appendix provides an insight into just what went on with some remarkably quick Anglias.) The first mention of the ubiquitous Ford Cortina GT is in 1963 and initially it was perceived to be handicapped by its size compared to the Mini: until the roads got rough, when the boot was on the other foot. Drivers came in all sizes and abilities: some were already “works” drivers and regularly competing in the major Internationals; many drivers and co-drivers emerged during this period to go on to success elsewhere. The most successful crew in this period, based upon total points scored, was undoubtedly the pairing of Reg McBride and Don Barrow. Each of them collected two Championship titles, respectively for drivers and navigators and Don then went on to collect a further Championship after Reg had been forced to retire from the sport through poor health. Together they achieved nearly all of their results driving a Ford, initially a fairly standard Anglia, then modified Anglias and finally a Cortina GT. Not surprisingly Reg McBride is the driver most mentioned in this book although the driver who scored the most points is in fact Phil Simister. Many will be unaware that the likes of Vic Elford, Tony Fall and Roger Clark at the beginning of their illustrious careers were learning their trades in the Motoring News championship during the period covered by this book. Close scrutiny of the entry lists will throw up others, not the least of whom was leading World Sportscar championship driver Brian Redman, a few years before his win on the 1970 Targa Florio. There is no doubt that an element of nostalgia creeps in when talking about the “good old days”. It was a start to have a premier Championship devoted to road rallying, though the early events were still of variable quality as can be seen from the critical nature of the reports. However, even by 1965, some people were fondly referring to earlier years: the late John Hopwood (co-founder of Ecurie Cod Fillet) wrote in a letter to Motoring News “I’m willing to bet that people are still talking of events held in the late ’50s and early ’60s when they have forgotten all this year’s events. This book will ensure that this period is not forgotten, with its detailed coverage of 91 events and mentions of more than 3500 individual drivers, navigators and officials in its 580 pages. 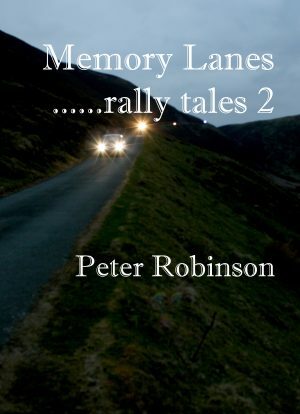 Together with Memory Lanes …revisited and Memory Lanes …the early years Peter Robinson has now covered, in similar detail, every MN rally between the Championship?s commencement in 1961 through to the end of 1973 and is a comprehensive and much needed record of an important element of British motorsport history.